Dear Esther is being remade – again – after The Chinese Room encountered serious difficulties with the Source Engine, causing major problems with ports. “The plan is to work towards a solid, high quality, Linux and Mac build, and then eventually PC,” The Chinese Room’s Robert Briscoe wrote on his blog. The plan is not 100% locked down, Briscoe cautioned, but promised to keep fans informed on his progress. “Rest assured: we won’t release or replace anything until we’re 100% sure it’s ready and you are happy with the transition,” he said. Originally a Half-Life 2 mod, Dear Esther was rebuilt as a stand alone Source Engine-powered title for independent release. The atmospheric exploration experience went on to sell well and score multiple critical accolades, but plans to bring it to platforms beyond PC went awry. Busy with other projects, minus a coder, and burnt out on Dear Esther’s steep learning curve, The Chinese Room elected to outsource Mac and Linux ports. Unfortunately, both contracted port development teams later dissolved, leaving the tiny indie unable to continue support. “Without developers experienced in multiplatform Source Engine development, coupled with our own unfamiliarity with the Mac and Linux platforms, we hit a brick wall,” Briscoe wrote. When “what should what was promised to be a fairly straightforward PS3 port” went upend due to the need for more licensing, the departure of The Chinese Room’s main Valve contact, and finally the announcement of the PlayStation 4, it was “the final straw” for the team and the Source Engine. “We got the underlying impression that official engine support was not long for this world, making me all the more anxious, not just about the possibility of further ports, but about the future of Dear Esther in the years to come,” Briscoe said. Briscoe blamed himself for the mess and the financial hit the company took, as he hadn’t been as deeply involved in the creation of ports as he had been on past projects. He began experimenting with Unity, finding that with various third-party tools he was able to achieve his coding ambitions, and has been working on the conversion for three months now. 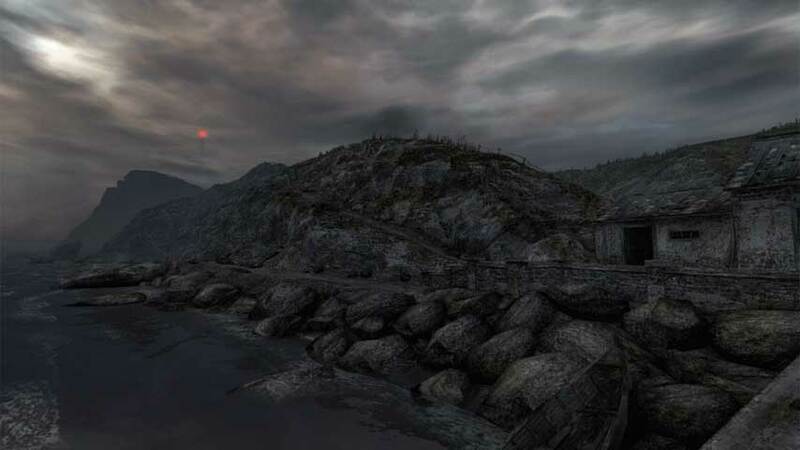 “When the PS3 port collapsed, I realised that with my knowledge of Unity, there was an opportunity to not only safeguard the future of Dear Esther, but to also clean up the Linux and Mac ports and reach a wider range of other platforms. Best of all, we’d be able to keep everything in-house, at low cost, with no more licensing or communication barriers, no more support woes and no more scouring for experienced Source Engine developers to help us,” he said.